They seem to work almost immediately and anyone who has tried a low carbohydrate diet notices weight loss within a few days. However, this weight loss usually isn’t fat loss and it is usually the result of less glycogen stores in the body. Glycogen is the body’s stored form of carbohydrates located in the liver and muscle tissues, and although this immediate weight loss usually results from glycogen and not fat loss, there is no denying the fat burning effects of low carbohydrate diets. Low carbohydrate diets are pretty effective at fat burning, but they are not the most efficient means of fat burning for a strength or a physique athlete. Why? Because the primary objective of a strength or physique athlete is to improve or maintain muscle mass and strength which is compromised through a low carbohydrate diet. 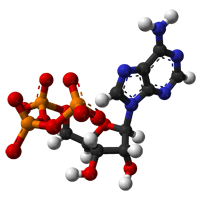 What is Adenosine Triphosphate or ATP? Adenosine Triphosphate (ATP) is a fuel source required by all cells of the body and the immediate source of energy for muscle contraction. Muscles need a constant supply of ATP to fuel muscular contraction and there are several systems in place to produce ATP; the oxidative energy system, and the anaerobic energy systems which consists of the lactic acid system (Glycolysis) and the phosphocreatine system (PCr). The oxidative energy system primarily uses a combination of fat and carbohydrate metabolism to create ATP. It’s called the oxidative energy system because the mechanism by which it creates ATP requires the use of oxygen molecules. However, during times of strenuous and high intensity exercise such as weight training, there is not an adequate amount of oxygen to meet the body’s demands for immediate ATP production. This is where the anaerobic energy systems come into play. The PCr system is the first system used to fuel the muscles and can sustain high intensity bouts of exercise for about 10-15 seconds. Afterwards, the muscles rely on glycolysis, which lasts 30-120 seconds, to produce ATP. Carbohydrates are important to the strength and physique athlete not only because they are the body’s preferred source of energy, but they also are the only macronutrient stored by the body that can generate ATP anaerobically via glycolysis. The body can store roughly 400 to 600 grams of carbohydrates in the form of glycogen in the liver and muscles of the body. This stored glycogen is called upon by the muscles during bouts of intense exercise to generate energy in the form of ATP. Eating a low carbohydrate diet drastically depletes the muscle cells of stored glycogen hindering the muscles ability to generate ATP at their maximal capacity. This leaves the low carbohydrate dieter with less muscular strength and endurance during their weight training session which ultimately means less stress/work performed by the muscle during an exercise session. Over time, less work performed by the muscles could lead to the reduction of muscular strength or size which is far from ideal for a strength or physique athlete. What is the Best Fat Loss Approach for Strength and Physique Athletes? 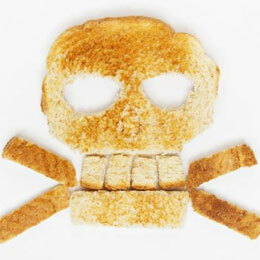 When it comes to fat loss, carbohydrates are not the enemy and as stated above are crucial to strength performance. Over the years, carbohydrates have gotten a bad rap because the over consumption of carbohydrates leads to fat gain (de novo lipogenesis). Well, I hate to be the bearer of bad news, but the over consumption of any macronutrient, not just carbohydrates, leads to fat gain. Excess calories lead to fat gain regardless of the macronutrient source. With that being said, I think the best fat loss approach for strength and physique athletes involves the proper ratio of macronutrients with a slight reduction in calories relative to one’s metabolic rate. As I mentioned above, carbohydrates are critical to ATP generation during intense exercise sessions such as weight training. Although you will want to keep your carbohydrate intake as high as possible while still losing fat during a diet to keep muscle glycogen stores high, the importance of the other macronutrients during dieting cannot be overlooked. Fats are vital to hormone production and vitamin absorption, while proteins are necessary for tissue repair and the synthesis of new tissues. Therefore, all the macronutrients are needed in the proper amount for the body to function optimally. 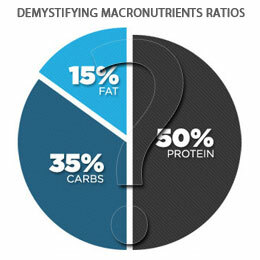 The amount of each macronutrient needed daily vary from day to day and from person to person so there is no specific one size fits all set amount which is why some diets allocate percentages of macronutrients. I find my clients to be the most successful with their diets composing in these ranges 40%-50% carbohydrates, 25%-35% protein, and 20%-30% fats. However, the Dietary Reference Intake (DRI) recommends a diet consisting of 45%-60% carbohydrates, 20%-35% fats, and 10%-35% protein. Nevertheless, the bottom line to fat loss is calorie intake relative to one’s metabolic rate and having the proper macronutrient ratio can help ensure strength and physique athletes of not losing that hard earned muscle. If you are looking for a fat loss nutrition plan, my Lean Physique Guide is a comprehensive fat loss guide using a flexible dieting and macronutrient based approach. Although low carbohydrate diets can serve as an effective means of fat loss, that style of dieting is not the most optimal means of fat loss for strength and physique athletes because these athletes are trying to retain muscle while losing fat. The storage of carbohydrates in the form of glycogen used to generate ATP via glycolysis during intense bouts of exercise is crucial for strength and physique athletes and even more so when on a reduced calorie diet. Therefore, concluding that strength and physique athletes would benefit more from a fat loss diet consisting of a slight decrease in daily caloric intake paired with the proper ratios of macronutrients.